Paris mayor Anne Hidalgo confirmed the object and a number of priceless artefacts were taken for safekeeping from the burning cathedral to Paris City Hall. She shared an image of the objects on Twitter showing the objects safely removed from the fire. The world remains in shock following the fire at Notre Dame which torched 850 years of history in hours in front of crowds of weeping Parisians. Notre Dame’s famous Crown of Thorns is purported to the be the relic of the wreath placed on the head of Jesus. Christ worn the woven crown – which was supposed to mock him as “King of the Jews” – as he died on the cross on Good Friday. 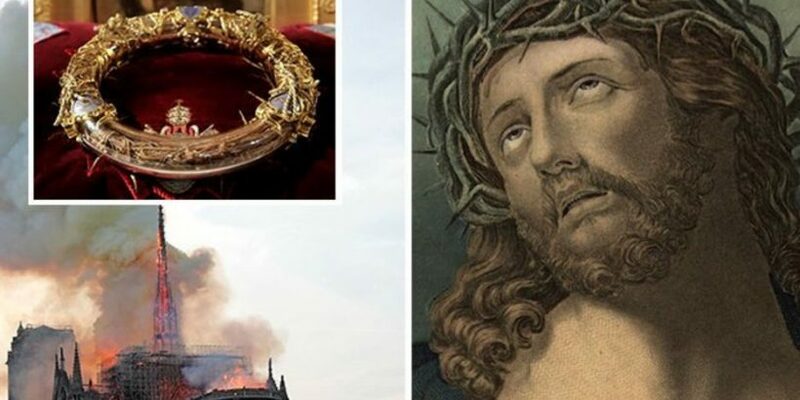 “The crown of thorns, the tunic of Saint Louis and several other major works are now in a safe place,” Hidalgo said. He is said to have been gifted the crown by Baldwin II of Constantinople. Jesus is often depicted wearing the crown in paintings and statutes of the crucifixion – and it is desire in the gospels of Matthew, Mark and John. Numerous objects around the world have been claimed by Christians to be a portion of the Crown of Thorns. Father Fournier, Chaplain of the Paris Firefighters, has been among the first responders who formed a “human chain” to save Notre Dame’s relics. Other relics said to have been saved include the Tunic of Saint Louis. Hidalgo mentioned this by name in her tweet as historians remain concerned for the extent of the damage. Notre Dam’s iconic bells and rose windows are hoped to have been saved as firefighters controlled the spread of the fire. It was confirmed this morning Notre Dame’s fire is now fully out after hours of battling by the fire service. Efforts the rebuild are now underway as French president Emmanuel Macron spearheaded fundraising – urging everyone in France to donate. Salma Hayak’s billionaire Gucci mogul husband has donated 100 million euros already, and Bernard Arnault and his group LVMH have pledged 200 million euros. Questions remain over how the fire started – but police have already ruled out arson and terrorism. Hundreds of firefighters tackled the historic blaze through the night, battling to stop it wreaking complete destruction of the treasured facade. Flames torched the roof, sending its spire crashing to the ground before crowds of horrified Parisians. The blaze, which broke out as the last crowds of tourists ended visits at 7pm, and it was finally declared to be “completely under control” nearly nine hours later. A spokesman for Paris firefighters said that “the entire fire is out” at Notre Dame. Gabriel Plus said emergency services are currently “surveying the movement of the structures and extinguishing smouldering residues”. 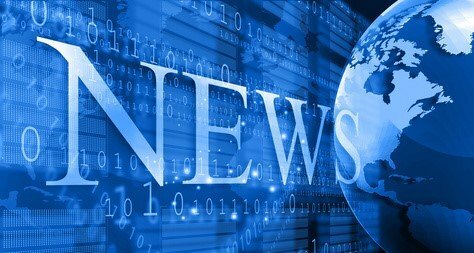 European Council president Donald Tusk is calling on the EU’s member countries to help France rebuild Notre Dame, saying the site in Paris is a symbol of what binds Europe together.